Alchemy often is thought of as the pursuit of ways to transform “lead into gold” and, more generally, the costless physical or chemical transformation of the base into the valuable. Although it ultimately contributed to the development of the science of chemistry, alchemy generally is viewed as a misguided quest for the impossible – transforming a commonly available element of no value into a rare one of great value. Ironically, modern chemistry has achieved the alchemists’ dreams and exceeded them. For instance, it is now a routine chemistry to turn sand into silicon wafers and turn the wafers into complex microelectronic “chips” that carry out the computational and signal processing tasks that make much of modern society work and account for a major share of the wealth of our economy. ‘Al Chemy’ (‘the chemistry”) is a more apt way of describing the role of chemistry in modern society than is generally realized. This talk will focus on a modern chemical process, Chemical Vapor Deposition (CVD), which has become critical to the fabrication of many modern electronic materials and devices. It will describe the true alchemy’ of Diamond CVD: the fabrication of pure diamond from ‘sewer gas’. Diamonds produced by CVD can exceed the purity of the best natural diamonds, and they can be manufactured with the morphology and quality necessary for extensive use in technological applications. Because of this, Diamond CVD has enabled new technologies to be developed that rely on diamond’s extreme thermal, optical, mechanical, electronic, and chemical properties. Understanding the complexity of Diamond CVD requires knowledge of many processes: the decomposition of gaseous reactants, the fluid dynamics and transport of reactive species to a growing surface, the chemistry by which diamond in deposited on the surface rather than graphitic or amorphous carbons, and the role of defects and impurities in the growth and quality of diamond films. Diamond CVD exemplifies the complex chemical and physical processes that occur during CVD. And since carbon has relatively few electrons, Diamond CVD is relatively easier to model than that of more complex materials. In addition, there is the extensive knowledge base of organic and combustion chemistry to draw upon in understanding Diamond CVD processes. As a result, Diamond CVD provides an excellent platform for developing theoretical and computational tools for understanding and predicting CVD manufacturing processes in general that, hopefully, will lead to further advances in modern alchemy. JAMES E. BUTLER currently is a consultant on CVD and applications of diamond materials, and a Research Associate at the Smithsonian Institution National Museum of Natural History. He recently retired from the Naval Research Laboratory after 38 years of service. At NRL he was the head of the Gas/Surface Dynamics Section where he researched the fundamental chemical processes of CVD with a particular focus on diamond CVD growth mechanisms, surface chemistry, defect characterization, and applications. Mr. Butler earned an S.B. in Chemical Physics from MIT and a Ph.D. in Chemical Physics from The University of Chicago. He has published over 255 refereed journal papers in experimental chemical physics, including elementary reaction dynamics, chemical kinetics, laser photochemistry, spectroscopy, optical diagnostics, surface chemistry and diverse chemical vapor processing systems. (Listed at http://www.researcherid.com/rid/B-7965-2008). He has given numerous plenary and invited technical presentations at professional society meetings, international conferences, and universities. He has served as a technical advisor to ONR, SDIO, NSF, and DARPA on various diamond research initiatives. He participated as an technical expert in a White House inquiry on controlling the trade of ‘conflict’ diamonds. He has served a consultant to many companies in the industrial diamond industry. He also chaired a Gordon Research Conference and has participated in the organization of numerous international conferences. He currently serves on the advisory board for the journal Gems and Gemology. 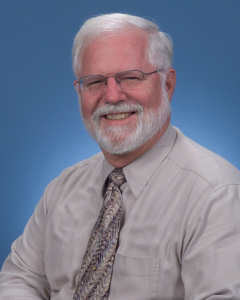 Mr. Butler was presented with the Sigma Xi NRL Edison Chapter Applied Science Award in 2001, the NRL Technology Transfer Award in 1995 and 2009, the Chemical Society of Washington’s Hillebrand Award and the Navy’s Meritorious Civilian Service Award in 2010.